I have been thinking about writing the story since long time. The story is not about any disaster or any tragedy but one of the harsh experiences till now in my life. The experiences which I witnessed in Kashmir, where I live, which is my homeland, where I work, do my professional duty. I am a Photo-Journalist from Indian administered Kashmir. It is a big deal here in Kashmir to be a journalist or a photo journalist. Photojournalists have worked in dangerous places of the world like war Torn Afghanistan, Syria, Somalia, Palestine and other countries and Kashmir is no different from them. Kashmir – which is one of the world’s heaviest military zone, which has witnessed an armed insurgency since late 1980s, the civil uprisings in 2008 and 2010. 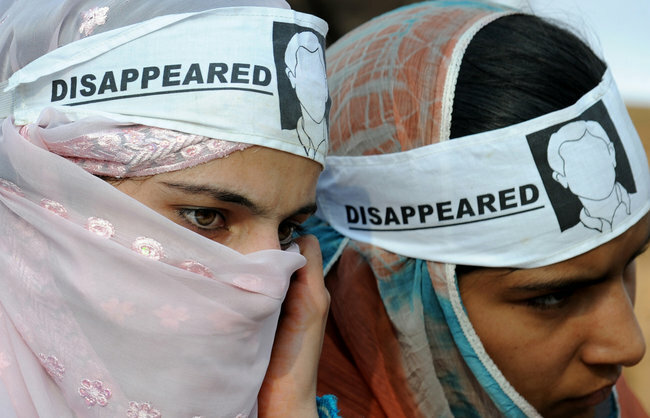 The media has remained affected in Kashmir every time whether it is armed insurgency period or mass civil uprising. Sometimes you are forced to report opposite of the facts, media and press is curbed and press personals which include photo journalists are beaten, assaulted, detained without any charge. This is the place, where I work.I have been telling stories of others through photographs, but here I won’t do that. I will tell my own story, but not through photographs’ will tell, how the forth pillar of democracy is kicked with boots, gun-butts, assaulted, thrashed, dragged, detained and then locked like a criminal in a lock up. This happened last year on this day of November when I came to know for whom laws and justice is. It was a cloudy morning of winter. I left my home for Press Colony –in Lalchowk – for my daily routine work. It was a Friday and transport was off from roads because of a Strike called by pro freedom leader Syed Ali Shah Geelani against the detention of minors. People were observing strike with roads presenting deserted look, while few Vehicles were seen plying. I reached Press Colony. Most of the offices of news and media organizations are located here. It is a favorite spot for people to register protest as they get good coverage here but today it was calm in Press colony. No protest by people or any organization. It was unusual calm. As the time arrived, I offered Friday prayers in mosque situated nearby, and after completing my prayers; I went to Maisuma and clicked some shots. Sky was full of clouds and rain was to be expected any time. I came back to Press Colony and was enjoying tea in a stall, located in Middle of Press colony which also serves a meeting point for journalists. After having tea, I left to SarafKadal- a downtown locality of Srinagar, famous and epicenter for Anti India clashes and protests. My friend Showkat Shafi – who is also a photojournalist, was accompanying me. We went on a motorcycle and reached there at 3:25 PM.There were heavy clashes going on between stone throwing youth and paramilitary CRPF and Jammu and Kashmir Police. We parked our motorcycle and started our professional duty. There was chaos. For a moment I was unable to understand. The police and paramilitary had surrounded the stone throwing youth from every side and they started to run for safety. I was from the side of forces. Suddenly some CRPF personals came and started beating me with Bamboo sticks. They kicked me with their long leather boots, assaulted with gun butts. One of the men among them broke my head with a brick. In the meantime, my head started bleeding. As I was being thrashed and assaulted by CRPF men, top police officials who included North city Superintendent of Indian Police ShowkatHussain Shah, Station House Officer (SHO) Iqbal Shah of Nowhatta Police Station arrived and they started abusing photo-journalists. “Now you will see what Nowhatta police station means,” said Iqbal Shah, in an angry voice. I was taken to Police Station Nowhatta in an armored police vehicle and we were accompanying with many Minor stone throwers in that police Vehicle. On that day 53 youths were arrested. I was thinking within myself that what is the reason behind my detention? And instantly the answer came into my mind. Before a month I took photographs of minors, who were arrested by police on charges of stone throwing. They were presented in court and were handcuffed. I did my professional job by clicking there pictures, which irked police officials and from that day I was threatened of dire consequences. “What is your name?” he questioned. I replied “My name is Shahid Tantray”. As I said Shahid Tantray, he became aghast. He went into his room and took out batons and started beating me. He broke my camera and its lenses. I replied “yes I want Azadi in my work and profession’. He asked,“What do you do? After my reply, he went back in a state of sadness. My health condition was very bad .I was unable to stand on my legs because I was beaten ruthlessly. I had never experienced the kind of situation, which I faced that day. I was in a lock up along with other detainees, mainly minor stone throwers. One of stone thrower brought tea for me, which his family had brought for him. I was taking sip from the tea but my ankle and neck was paining which was unbearable for me, blood was oozing from my head. I was amazed with the courage of minor boys who were detained there. They were in a same condition. They too were beaten and kicked by police and paramilitary personals. The blood was oozing from their different body parts. But these boys were encouraging me; they cleaned the blood which was on my face and head. They lifted me and put blankets on me. They all were serving me like a guest. I prayed for them and still I make Dua for them and their success. At 8:15 P.M one of the police man came and said, “Whoever is injured, we will take them to hospital in Police Control Room,” while addressing boys who were in lock-up which included me as well. A police officer came there who was Munshi, he was bearded and when Isaw him, I thought he is will be a good person and will offer sympathybut my entire guess was wrong.Munshi (Police official) ordered cops to handcuff us all. They handcuffed, and I told the Munshi (police official), “MunshiJi –I am not a criminal. I am a journalist, I have not been booked under article 302 (under 302 one is booked for murder)”.But my words were unbearable. Police man slapped me and dragged me into a vehicle.He started abusing me and Syed Ali Shah Geelani. It was strange like Iwas an activist of Geelani’sparty. I was taken to Police control room for treatment. The doctors thereare also police personals. I was given medical treatment. DoctorsOrdered other cops to open the cuffs of mine. They said that he isinjured and have multiple injuries. Then I was again handcuffed and took me back to police station Nowhatta.The minor boys were also taken to police control room for thetreatment. Their parents had come to see them, but they were detainedby police and minor boys were freed. I pleaded one of the father of minor boy to for cell phone so that Icouldcontact my friend as well my mentor – Danish Ismail. I told himthat I am detained. He replied “Don’t worry I am coming”. At 10:25, Danish Ismail came. Before his arrival, I was feeling alone,strange and helpless. But as I saw him, all these kind of feelings instantly went away. The SHO told him “you can take him”. TheMunshi came and I was taken out from lock up.I told to give my camera back. He brought my broken camera and lenses and said “you can take, this is your camera’. I told him that this isbroken and was broken by your people. He replied “Sahab (SHO) was angry and now take this”. I didn’t agree. I told them that when I was brought here my camera was fine. I want my camera. He replied back “If youwant your camera, then you must leave your phone, wallet and other articles here”. Danish told me to leave these things here and let’s go. Danish took directly me for treatment to Bone and Joint hospital,Barzulla and doctors X-rayed my body parts. The X – ray was showing fracture in my neck and ankle. An Iron nail was stuck in my right elbow. Compounder told doctor “Doctor saeb he has puncture “I said to him that what is this ‘puncture’? He said “It is a medical term we use when there is a hole on some body’s body”. They treated me and then I was shifted for SKIMS hospital at about 11.30p.m. and my whole family was with me. Danish – whom I consider my mentor and a best friend was accompanying me continuously. I was shifted to SKIMS. My father was weeping. Next day, I wasdischarged from the hospital but I was bed-ridden for a month. When police broke my professional equipment’s and other articles. I approached the concerned Superintendent of Police ShowkatHussain Shahwho assured in return for due compensation and informed that the camera was seized under section 525 and would release after the orders of Tehsildar (magistrate). “You can also claim the benefits ofinsurance as well”, SP informed and I replied I don’t needcompensation I need my camera. Earlier, Chief Minister had promised to probe the matter. He, in his speech at Jammu had asked media persons to adopt the uniform code as would help the security forces to differentiate between protesters and media persons. Police, when they attacked me they knew I was journalist but they still broke my professional equipment’s and used force against me. After all what happened, only this thought kept revolving my mind,what am I? Why was I beaten? Hard to answer of all this for months after that incident, I now knowswhat am I? Only after getting thrashed by cops without any reason I amnow aware what my Job Is? I am now aware who I am?Yes, I am a Journalist because I believe there are people out there who have stories that the world needs to hear. Yes, I am a Journalistbecause I feel stories of war, injustice and cruelties that we wouldfind hard to believe and hard to hear would be reported and I am bornto do same. Yes, I am a Journalist because I know truth has been fedto people; to the people who are unaware of what Kashmir is? Yes, I ama journalist because I am one. Yes, I don’t tell stories but as they say a picture is worth a thousand words. Yes, I am a Photo Journalist from Indian administered Kashmir.